Buffy the Vampire Slayer has always held an irreverent attitude toward her calling, but ultimately she understands the ramifications of her destiny and is prepared to die to protect the world from Evil. In fact, she has died. Twice. "I remember the drill. One Slayer dies, another is called." It's an ancient tradition, steeped in lore, mythology, and fateful prophecies. Slayerdom consists of a Council of Watchers, a continuum of slayers, an archive of journals, and even a handbook. "Handbook? What handbook? How come I didn't have a handbook?" But first and foremost, it begins with a girl. One girl in all the world. A Chosen One. 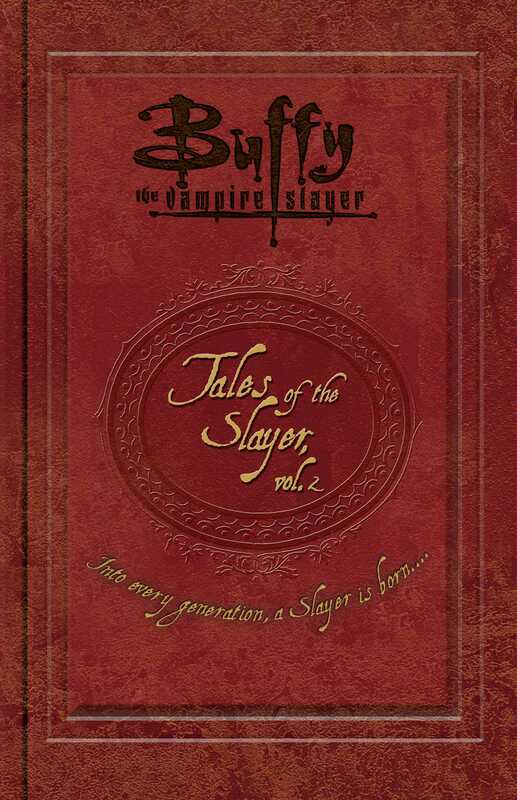 Now, catch up on other Slayers past and present, in the second short-story collection, Tales of the Slayer, Vol. 2! "[Another] Slayer? I knew this, 'I'm the only one, I'm the only one,' thing was just an attention getter." With contributions from Scott Allie, Laura J. Burns and Melinda Metz, Max Allan Collins and Matthew V. Clemens, Greg Cox, Kara Dalkey, Jane Espenson, Rebecca Rand Kirshner, Todd McIntosh, Michael Reaves, and Kristine Kathryn Rusch.